In March 2015, I gave the final-day keynote at the UXLibs Conference in Cambridge, UK. This is an adaptation of my talk. You can also watch the video, if you prefer. 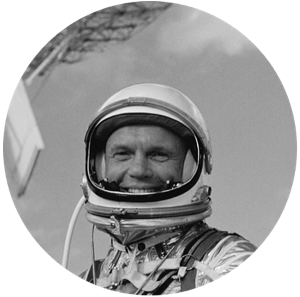 In February of 1962, John Glenn became the first American to orbit the earth. He trained for three years for the five hour flight, and he spent most of his time in the space capsule working through a series of tasks that the NASA engineers had set for him. Experiments that would help them better understand space travel for future flights. While the engineers thought of the space mission as a series of tasks, the American public was mostly ignorant of these experiments. If you ask my father what he remembers most from this mission, he’ll talk about a sweeping sense of American identity, an opportunity to redefine ourselves by reaching out into the stars. In fact, for the American public the most memorable part of this journey was a phrase that Glenn’s fellow astronaut Scott Carpenter said, as Glenn prepared to take off. It immediately became part of the American lexicon: “God speed John Glenn.” That emotional phrase resonated with the regular Americans at home, watching Glenn reach out for the heavens. But if you won’t encounter that phrase anywhere in the official record of this mission, because it wasn’t important to NASA. In fact, Glenn himself never heard the phrase, and only learned about Carpenter’s sendoff when he returned to Earth and read about it in the newspaper. Glenn: I still have some of these particles that I cannot identify coming around the capsule occasionally. Over. Ground Control: Roger. How big are these particles? Glenn: Very small, I would indicate they are on the order of 16th of an inch or smaller. They drift by the window and I can see them against the dark sky. Just at sunrise there were literally thousands of them. It looked just like a myriad of stars. Over. I don’t know about you, but if I’m flying a space craft for the first time, and there are a billion luminescent sparkles floating around me, I’d have a hard time ignoring it. And Glenn’s curiosity for what he experienced was far more than simple scientific observation. He would later say that, as a man of faith, his first thought was that perhaps these were guardian angels or other heavenly bodies sent to guide him through the darkness of space. And 35 years after the orbit, as Glenn prepared to go into space again for the last time in his life, he recounted that no one could experience the stars, or “fireflies” as he was fond of calling them, without believing in a god or higher power. And that was 35 years after NASA figured out what these fireflies were. They weren’t guardian angels, they weren’t heavenly bodies. They weren’t even tiny stars. It was pee. It was John Glenn’s urine, ejected from the space capsule, frozen into thousands of tiny drops, catching the light of the rising sun. John Glenn’s experience of flying through a starfield of his own urine became the defining, transcendent moment of his life. We don’t talk about this particular episode in Glenn’s life very much, and I think it’s because we’re a little embarrassed for the great pilot. He accomplished so much, and yet decades after this fairly disgusting experience, he was still moved by it. But I think that this story is helpful for us when we try to talk about what we do as User Experience designers, because it highlights the distinction between thinking in tasks and thinking about experience. They are not the same thing. Now in libraries we’ve been thinking a lot about User Experience, and that’s great. We’ve stopped designing single screens and individual steps in a process, and we now think in user journeys. We understand how people move from one system to another and from one place in the library to another, across silos. But like Ground Control, we still often think in terms of tasks. We think only about what steps each user must take along the way to complete a task. But the thing is, experience is different than just working our way through tasks. There is more to it. We often think that experience is like tasks plus emotion. You see this in a lot of writing about UX and “emotional design.” For Aarron Walter, in Desiging for Emotion and Don Norman in Emotional Design, emotion exists in a causal relationship with tasks. If we make something hard to use, then people will get mad. If we make it easy, then they will love us. There is some truth to that. But it makes an assumption that all of our users come to us from an emotionally neutral place. Anger arises only because the button is the wrong color blue. But that is not how we experience the world. We’re not just moving through the world checking off tasks. Now, I’m not saying that we shouldn’t focus on tasks. Focusing on tasks is essential to what we do. You cannot understand how someone goes through the actual steps of requesting a book, renewing something, or using one of your services without thinking in tasks. But we like tasks because they are easy to quantify: how many people successfully renewed a book? Have the numbers gone up since the last redesign? Those numbers can tell us one kind of story, but our users’ experience tells us another kind of story, one that helps us better understand the full picture of what they go through in the library. 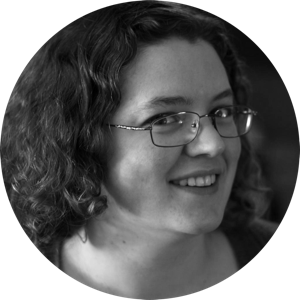 Last year, Emily Badger published a piece in the Washington Post on rethinking transportation maps. We tend to talk about transportation as if the ultimate goal were mere movement, measured in speed, time and capacity. The ultimate goal of transportation, though, isn’t really to move us. It’s to connect us – to jobs, to schools, to the supermarket. And she started by defining how we normally think about transportation, and how maps are defined for that kind of thinking. It’s a very task-based way of thinking about transportation. “I’m going to move from one place to another.” But we don’t experience transportation as mere movement; we experience it as something more. Because we’re people that are in the world, caught up in all kinds of activities. We have reasons for wanting to do things, emotions, social and cultural and historical context that helps influence the way that we move through the world and do things. This is as true about transportation as it is about libraries. Hugh Rundle reminds us that our users do not think in the same task-based silos that we do. This is the level of task thinking. Find books. Find Magazines. Your members don’t come to the library to find books, or magazines, journals, films or musical recordings. They come to hide from reality or understand its true nature. They come to find solace or excitement, companionship or solitude. Rather, they come to us from a bigger place. A place that is about experience, and life, and culture, and history. A messy place, that’s harder to nail down on a user journey. Now most libraries define their missions according to helping people access information. And we are good at doing that, and we need to keep thinking about this, but maybe it’s time we thought a little deeper about our mission. Because our focus on information access keeps us locked into those task-based workflows. If we’re only focused on helping people access something, then we’re always going to be focused on the steps that make access happen. Last month, my pal Andromeda gave the keynote at Code4Lib in Portland, and she twisted the typical library mission to make it more experiential. [Libraries] let people transform themselves through access to information and one another. We’re about transforming people, and that involves access to information, but it also involves access to people, to community, to librarians, to other users. This is a different way of thinking about out work that is on a higher level than task-based thinking. We’re thinking about the experience of the people involved, and what happens when they use the library. The library is people all the way down. Where did the information that we curate and provide access to come from? Did it appear fully formed? People wrote that. People come to us to find that information. We like to complain about library websites, and how many links they have. Do you know where those links came from? People put them there! When we can shift our thinking, and be able to think about tasks on the micro- level and experience on the macro- level, we can change the way we help people transform themselves. I started thinking about this connection between experience and usability, while I was sitting in a rather depressing Homeland Security Immigration and Naturalization office in Grand Rapids, Michigan, a couple months ago. I was there filling out a lot of paperwork to get my work visa, so I could come and speak to you today. I don’t know if you’ve ever been to an office like this, but they’re pretty much like every other government office. There are about 300 chairs, and 7 people. And while I waited for my number to be called, there was a television playing a loop of information videos, over and over and over. And I tried my best to ignore the TV, but eventually I gave in. And about a minute after I started watching the first video, I heard a word that I now hear everywhere, since what I do for a living because something everyone is interested in: usability. I looked around the room, and started wondering who the target audience was for Self-check. I was born approximately 35 miles from where I was sitting. I’ve lived in the United States my whole life. This is not a website that I would consider using when I was applying for a job. I’m not the target audience. The target audience is people who may not be able to work in the United States. Maybe they are in the country illegally. So let’s think about the process that the designers went through, when they built this website. They said, it’s going to be simple. All you need to do to find out if you are eligible to work in the United States, is go to this website, tell us what your name is, tell us where you live, tell us your phone number, tell us all the people that live with you, and then we’ll tell you whether or not you can be in the country and have a job. And, just so that it’s usable, we’re going to make sure to offer it in Spanish. So I thought to myself, if you’re using this system, can you remember the address you lived at five years ago, if you’re worrying about your children being deported? Can you click the links if your hands are shaking? Is usability all about tasks? Is that all we have for people? When we think about usability strictly as task-based, it becomes an attribute of whatever it is we are designing. We think about it in terms of removing friction. We think about it in terms of intuitiveness. Those are fine things to think about, but thinking only about reducing friction leads us to the idea that making something usable is a matter of making the words we use understood by the users. And let’s be honest, the world is a bit more complex than that. The problem with thinking of things as experience, is that we have to think beyond the tool. We need to understand that the important part happens only when people are using the tool or service, and that the experience goes beyond the steps they take to accomplish a goal. When we evaluate our services and tools, we have to take that into account. It’s helpful to have a framework to understand what we mean by experience. So let me see if we can get closer to defining experience. In our work, in the literature, today at this conference, we use the word experience over and over, but we never stop to ask what we might mean by that. Like usability, we tend to make assumptions about the meaning, and build our work around them. One framework I like that helps us think about the two levels I’ve talked about, the task-based micro level and the experiential macro-level, was introduced by two researchers from MIT back in 1999. Vicki O’Day and Bonni Nardi, write in their book Information Ecologies: Using Technology with Heart, about how people use metaphor when they interpret the world. We think about things to be like other things. And this tendency helps us to frame and illuminate certain aspects of new things, but also obscures other aspects. Frog legs taste like chicken. Well, what if they taste like something else, too? Nardi and O’Day focused on technology, and the metaphors that we use to understand it. Their definition of technology is quite broad, as is mine here in this talk. We’re not talking about just “gizmos,” gadgets, or things that plug in. We mean “Knowledge applied to practical ends.” This could be an app, but it could also mean a service, a coffee cup, a carpet. Anything we use to try to make experience better, is a technology. The most common metaphor for technology is a tool. This is where we spend most of our time as designers. And this is the land of task-based thinking. The benefits of this approach are that we keep focused on the fact that people will be using our design. If we’re designing a hammer, we know that someone is going to need to grip the hammer, which helps us focus on designing something that can be gripped. But we’re still working through all the steps involved in traditional use. We think about each step involved in using a hammer: picking it up, adjusting it for the right balance, placing the nail, tapping to start, swinging back, and on and on. Those questions are essential to making things that can be used by people. But they are not necessarily the right questions for creating great experiences. And thats because when we actually experience technology, in the act of using something, our experience is not the same as it would be if we were consciously working through a task. If you do that you will have a hole in your wall. O’Day and Nardi propose another metaphor for thinking about technology, a higher-level metaphor: an ecology. An ecology is a system of people, technologies, value, and culture in a local environment. A library is a great example of an ecology. You have librarians, users, databases, books, indices, newspapers, microfilm, computers, and coffee, all interacting in the big, messy way. The thing about the ecology metaphor is that it highlights the interconnectedness of all of these different things coming together in one place. It emphasizes the co-evolution of technology and people. Its about people and tools together. If we can pull back from task-based thinking and think more in terms of ecologies, then as we’re planning and designing, then we can move beyond thinking about the next tool. Thinking in tasks obscures how many of those interrelationships play out in our users lives. A good science fiction story should be able to predict not the automobile, but the traffic jam. We don’t want to just make the next tool. We want to understand the social and cultural changes that introducing the next tool will bring about. Cameron Tonkenwise has a definition of design that I really like. We’ve heard several definitions of design this week, like ‘design is solving problems.’ And I like that definition, and it can be useful, but I’m not sure that everything that is designed is solving a problem. A lot of things out in the consumer marketplace that have been designed are designed to solve the problem of not enough money in the company’s bank account. So I think there is another way to think about design. Tonkenwise says, “Design is doing philosophy with your hands.” And what I like about this definition is that the problem-focused definition of design keeps us focused on the task level, but if you’re doing philosophy, you have the ability (and one might say responsibility) to step back and think about your work critically. To gain a broader perspective to understand more about how people are actually experiencing the things that you make. So, when we think about how we experience the world, most of us think about it as a subject (us) exists in the world and moves around interacting with the things (objects) of the world. I’m a subject, this glass is an object, and I can scientifically observe it. We have Descartes to thank for this. Cogito Ergo Sum. I think, therefore I am. A person is separate from the world, and our language reinforces this perception: subjects and objects. But do you experience the world this way, as you go about your daily life? Apologies, this is the philosophy part. 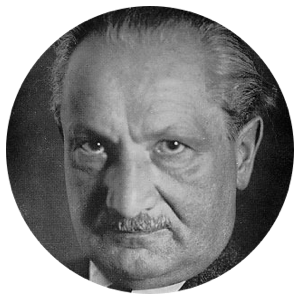 Martin Heidegger believed that we don’t exist in the world as subjects acting upon objects, rather, he described our existence as being-in-the-world. The hyphens are there because your existence and the world’s existence are not separate. They happen together. We should also be careful about that word “in.” Being “in” the world is not being contained by the world, but rather, for Heidegger, being involved with the world. So we exist through our involvement with the world. Our existence is dependent on interacting with things in the world. If we take this framework as a way to understand experience, then by interacting with the world, we’re creating meaning. We’re making sense of the world and ourselves through those interactions with the world. We’re not identifying things that already exist, it’s that those things reveal themselves to us through our interactions with them. The branch of philosophy that deals with experience is called phenomenology, and it’s basically describing what it is like to experience the world. I love how one of my undergrad professors, Corey Anton, tried to describe the way we actually experience the world. He said that we don’t experience the world as a separate body moving around in a world, a subject acting upon objects. Rather, your face is a hole in your neck where the world opens up. Thats how you experience the world. So now, if we think about existence as meaning making, as interacting with the things of the world, we can start to think differently about usability. If interacting with things is how we make meaning out of our lives and the world, then usability has to be more than just keeping things “easy” to use. It’s about making sure that people can have meaningful interactions with the world. And when we start thinking about usability as helping us make meaning, from thinking of our existence as interdependent on the existence of the things of the world, we can move beyond the idea that the pinnacle of usability is perfect functionality. Task-based thinking is very functional. But we experience the things that we use in a very different way than we talk about them as we design them. I want you to think about how you feel when you leave your phone at home. Is it the same as if you left a blank piece of paper at home? Or a notebook you’ve never used? Does it feel a bit more like you accidentally left the dog outside? Or left one of your children on a bus? When we think in tasks, we think that this is because we’re emotionally attached to the object. It’s given us good experiences, so the phone has generated an emotional attachment. And that’s probably true to a point. But when it comes time to get a new phone, do you have a ceremony retiring the old one? While there may be some lingering nostalgia for the way something worked on an old phone, we continue to use the new ones. That’s because our primary concern with the object is in its usefulness to us. This also explains why we keep using things that are hard to use, because the value of what we are able to accomplish makes the struggle worth it. When Heidegger talks about how we interact with the things of the world, he says that there are basically two modes, and we need to understand them to really understand usability from the perspective of experience design. He says that objects are “present-at-hand” to us when we know them scientifically. This is a glass, Im looking at it, observing it, noting its size and weight and attributes. We don’t know most of the things in the world as present-at-hand., most of the time. Most things present themselves to us as usable objects, they are, for Heidegger, “ready-to-hand.” All of you in this lecture hall are sitting in chairs. How many of you have been sitting here for the past 35 minutes saying, “I’m sitting in a chair. I’m sitting in a chair.” You were not aware of the chair as a chair, you were acting through the chair. The chair has effectively become invisible as a separate object, because it has become an extension of your body. For Heidegger, your conscious awareness is not interested in the chair because it has presented itself as something usable, and you are able to act through it. As we act through technology that has become ready-to-hand, the technology itself disappears from our immediate concerns. We are caught up in the performance of the work. When you take a phone call, you’re not thinking about how to hold the phone, where the microphone is, where to hold the speaker. Unless, of course, you have a phone like mine that requires you to carefully position it in such a way so that you can hear people on the other end, and they can hear you. For Heidegger, at that moment when you become aware of the phone as an unusable object, it becomes present-at-hand to you. Once you shift back into using the phone and your conscious awareness moves back to what you are doing through the phone, the object again becomes ready-to-hand. Now these shifts between present-at-hand and ready-to-hand, Heidegger calls “breakdowns.” This is starting to sound a lot like a usability problem. If something is intuitive, we just use it. The chair, for instance, is intuitive. We don’t usually have to think about the chair to use it.1 When the chair breaks, it becomes unusable and we are aware of it as a chair. We’re suddenly thinking about it! Even when I said the word “chair” to you a few minutes ago, when you were all just sitting in your chairs listening, your chairs quickly came to your awareness: “Oh, I am sitting in a chair!” You’re probably thinking about the chair again right now, as a matter of fact. But this isn’t really a usability problem. Too often we think that anytime we have to think about the tool, then it’s somehow become unusable. We spend a lot of our time trying to keep our users from thinking too much about our tools. And while I agree that we should strive to make all of our tools easy to use and intuitive, we have to acknowledge that breakdowns are inevitable. If we think about how things operate in an ecology, it’s not just a user in isolation using the thing that you built, with no other distractions in their life. There are so many things beyond our control; breakdowns will happen. Because we are designing things for people, who exist in a cultural, social, and historical context. Now the thing is, breakdowns are often self-correcting, but when we typically think of usability issues, we assume that they are not. Let’s say you are in a cafe, trying to get some work done on your laptop. You’re sitting at a small table, and using a wireless mouse because you hate the trackpad. As you move the mouse across the table, are you aware of the fact that you are using a mouse? No, your body is acting in such a way that the pointer on your screen and the mouse in your hand are extensions of your body. Now, if the mouse goes off the side of the table, you are suddenly aware of the mouse as a tool that you are using, because it’s usefulness has disappeared once it came off the hard surface. In typical usability thinking, we’d want to find a way to stop the mouse from going off the table, because we don’t want it to stop working! But is it really a usability problem? No, because you already understand how mice work, and so you just move the mouse back onto the table and get back to work. For a moment, during the breakdown, the mouse became present-at-hand to you, but you recover without much delay and it again becomes an extension of yourself, a ready-to-hand tool. Because you understand how the mouse works, it’s easy for recover. When we think in tasks, it is harder to recover from breakdowns, because tasks are generally linear, and they build upon each other, step by step by step. If you have an issue with one of the steps, task-based thinking doesn’t give us an easy way to get back on track, and pick up where we left off. There is a constant movement between present-at-hand and ready-to-hand in everyday life, and designing with that movement in mind is the job of experience designers. I think that this is the key difference between designing for tasks and designing for experiences. That moment when you shift from ready-to-hand to present-at-hand is unique to thinking about things as experiences. That’s our realm, as experience designers. How do we design things that get people back to using them after a breakdown? If breakdowns are inevitable, how do we empower our users to self-correct when a breakdown occurs? If breakdowns are inevitable, we need to reconsider our understanding of usability. The goal of usability is generally seen as making our services or tools perfect, eliminating any possibility of a problem or issue. We run usability tests, and watch for the parts where people can’t figure something out, and then we try to design a better label, or link, or button, so that they understand what to do. I think we should try to make things easier, and eliminate the problems. But that won’t keep people from having issues. There will still be breakdowns. And so usability for us should become more about how to get people back on track. How they recover from a breakdown. User-friendliness is not merely an issue of the number of errors made per unit of time. It is rooted in the confidence of being able to handle disruptions. How do we do that? You likely can’t walk into work and write up on the whiteboard, “Being-in-the-world,” and then kick back to applause from your coworkers. However, I think there are a few ways that we can shift the way we work. We need to change the way we think about usability. It needs to be more than just perfect task-execution. Usability can be more about helping people better understand our tools and services, so they can recover from the inevitable breakdowns. When we test our services, we should think more about testing as a way to uncover coping techniques. For Heidegger, moving from ready-to-hand to present-at-hand and back was called coping. We are always coping with the world. (If you’ve used the doors here at Cambridge University, you know what coping is.) By testing, we can see how people recover from breakdowns, and learn how to design those ways of recovery right into the tools. Last, I think we need to design for these breakdowns, rather than designing to avoid them. By acknowledging that they will happen, and making sure that there are plenty of ways to cope and recover, we’ll make our tools better for everyone. Experience design is more than just making cool new things that make people happy, it’s more than just making effective services that help people get things done. We’re helping people become the best versions of themselves. And I think we have a unique responsibility as experience designers and researchers, to take that seriously. The things we design are not just dumb control panels with switches and buttons, they are an extra way for us to help people transform themselves. We make so many connections here on earth. Look at us—I’ve just met you, but I’m investing in who you are, and who you will be, and I can’t help it. Photo of Andromeda Yelton by Molly Tomlinson, used with permission.